Backing up files is one of many fields in which the average PC user is likely to stumble. It’s easy to forget to make copies of critical documents no matter how many times you write yourself a reminder yet losing irreplaceable files and folders seems inevitable. AOMEI Backupper is a solid tool for those with poor backup habits who want to keep their files safe without worrying about keeping track of manual scheduled backups on both a personal and a server level. Like many of AOMEI’s similar products, Backupper offers quite a few features that other programs would want you to pay for. Its free standard edition allows you to automatically backup and restore files at times and dates of your choosing while also giving you full logs and status reports on those backups to make sure every file on your drive is accounted for. Once you’ve created backups you can freely explore the duplicated image to manually check for consistency and then compress it to save yourself valuable space, which then means you can keep even more backups. 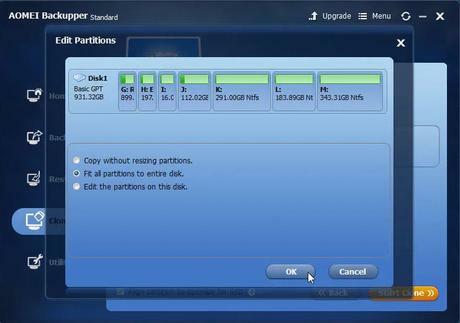 While some programs allow you to back up individual directories, Backupper can duplicate entire drives or partitions which you can then mount and draw files from without needing to unpack and re-initialize an entire drive over your original install. Once you step up to the paid level you run into more options that may seem like choices the average user will put to good use with less frequency. 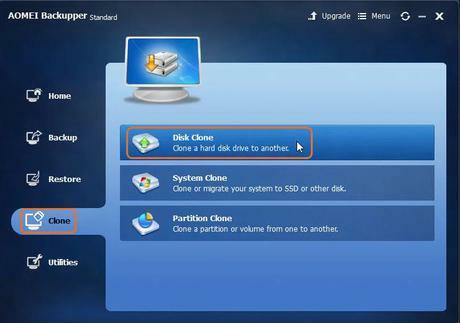 It’s not likely the average PC owner will want to dive into the PXE boot tool that allows for a central console to wake up LAN-connected devices for the sake of maintenance, but there’s merit to be had in being able to clone your entire system in one motion rather than individually cloning and restoring disks after a complete data failure. Those with privacy concerns could benefit from the Professional edition’s built-in encryption option. After all, we’re currently in the midst of more privacy breaches than ever before and the idea of losing another chunk of our data to prying eyes is becoming a more realistic threat by the minute. If you’re especially worried you can even move those compressed and encrypted archives to CD or DVD to entirely remove their presence from your network. If they aren’t connected you can’t lose their data whether it’s encrypted or not. From a performance standpoint, the tool runs quite well, demanding little of your CPU even if you wind up cloning entire drives. While backing up an entire drive or partition goes quickly, it seems to struggle more with individual files and directories from a speed standpoint but it’s far from the slowest backup software we’ve encountered. Its selection of features at its price point are what make Backupper a strong contender for one of the best free backup software available. It’s not easy to find an application that will automatically copy your drive for you at a time you specify and then e-mail you a receipt of the deed for you to check without paying for it. AOMEI has been producing free software of this calibre for a great many years and has shown no signs of stopping, which means we’ve got no problem recommending Backupper Standard 4.6 for nearly any level of business or personal use.